Need help using library eResources like OverDrive, Hoopla, RBdigital, or Ancestry? Any questions about your new phone or tablet? Want to create a Facebook account, but don’t know how to get started? The library offers technology assistance for these questions and more! Attend one of our upcoming classes, or schedule a one-on-one appointment with the Reference Librarian. Please refer to our calendar of events for the most up-to-date information about our programming. Register for programs online or call us at 781-293-2151 x106. Intro to Ancestry – Come learn about Ancestry, a free online genealogy resource available from any of the library’s public computers. Search census data, vital records, directories, and more to learn more about your family’s history. We will be using the library’s computers for this class; limit 4 people per class, so sign up! Cell Phone Photography – Cell phone cameras are increasingly complex, but the quality of photos are better than ever. Become more comfortable with your cell phone’s camera and learn how to print your beautiful photos at the Library! 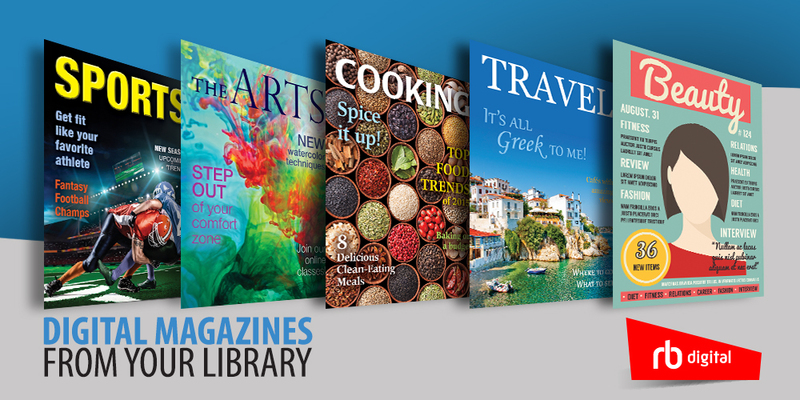 Intro to RBdigital – Did you know… the library offers digital magazines? No waits, no fines, no due dates – check out RBdigital! This class will introduce you to RBdigital, help you create an account, and get you started reading.